There are but a few days ahead of Christmas, and one of the few people remaining on your shopping list is a digital artist of sorts.Your best friend, or close relative, is a digital artist. 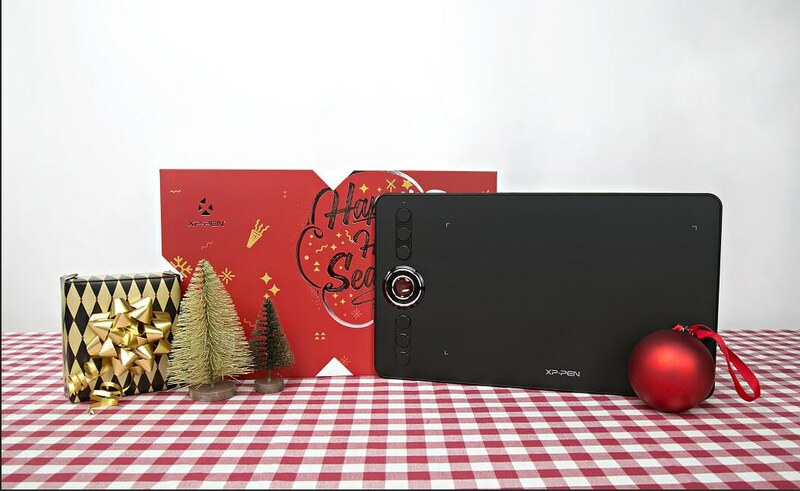 The best present you’ve ever managed to think of for them was a graphic novel, or perhaps a framed print.Or socks.Now is the time to right these previous wrongs and find some incredible gifts that the digital artist in your life will really appreciate and be able to use. Want to stand out? This is how you do it — and they’ll love you for it, guaranteed. How does your digital artist want to express themselves? Do they first draw on paper, scan, and import into their favorite package? Or do they want to be able to draw directly into the software? 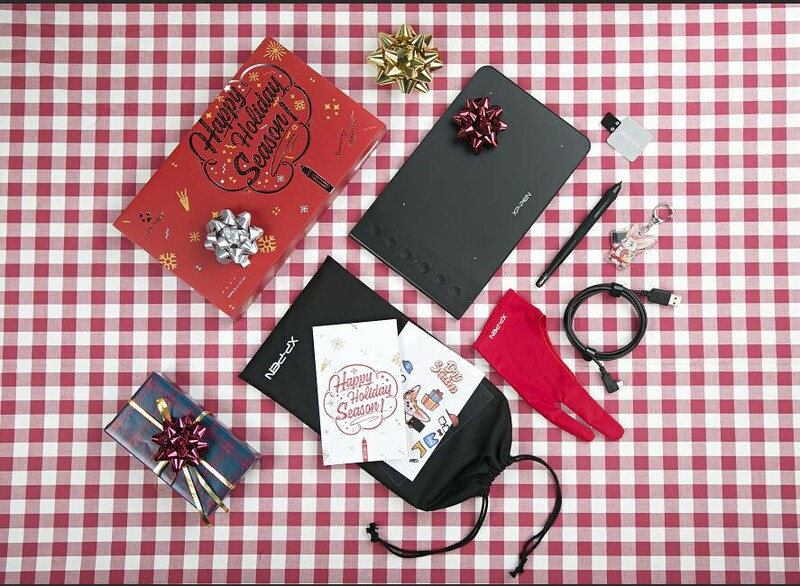 Graphics tablets come in all shapes and sizes, and they make great gifts for digital artists. For instance, the good quality but low budget XP-Pen graphics tablet makes a good gift. 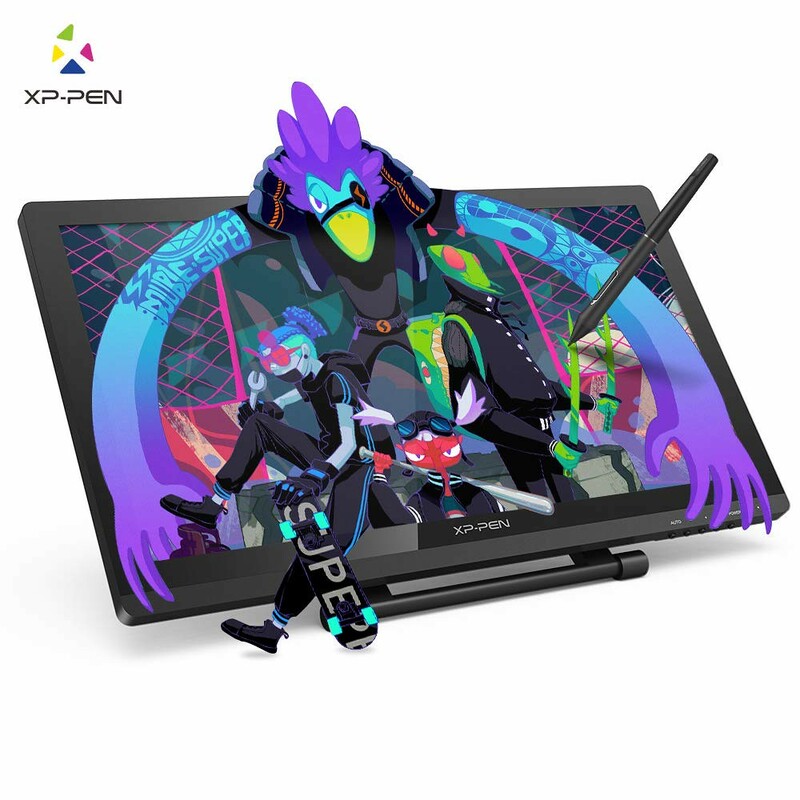 As the one of largest consumer digital graphics tablet brand in the world, XP-Pen has received a lot of support from our customers since founded. It can be said that XP-Pen’s achievements cannot be separated from the support and love of customers. So, XP-Pen have attached great importance to customers’ opinions and feedback which are conducive to optimize XP-Pen products. In order to thank customers for their valuable advice and love for XP-Pen , XP-Pen would like to express their thanks to dearest customers by giving some special offers in the upcoming Christmas Day. you can get a coupon code from $5 off ~ $30 off and use it in the XP-Pen offical Store . you can get the code in this page : https://www.storexppen.com/coupon/index . the christmas Promotion day : from December 07 to December 31, 2018 . In earlier times when there were no drawing tablets or graphics tablets, artists used to draw an art with a piece of paper and a brush. They had to keep a variety of brushes with different thickness to show off their drawing skills. If something goes wrong with the art there wasn’t any solution for erasing it and hence, artists were facing hard times with painting. However, things were made simpler after the launch of software like Adobe Illustrator, Photoshop and Autodesk Sketchbook on computers. Most of the artists then switched to digital painting as these software were offering tons of useful tools including some advanced features which revolutionized the way of composing an art. Still, mouse and keyboard inputs failed to deliver accuracy. 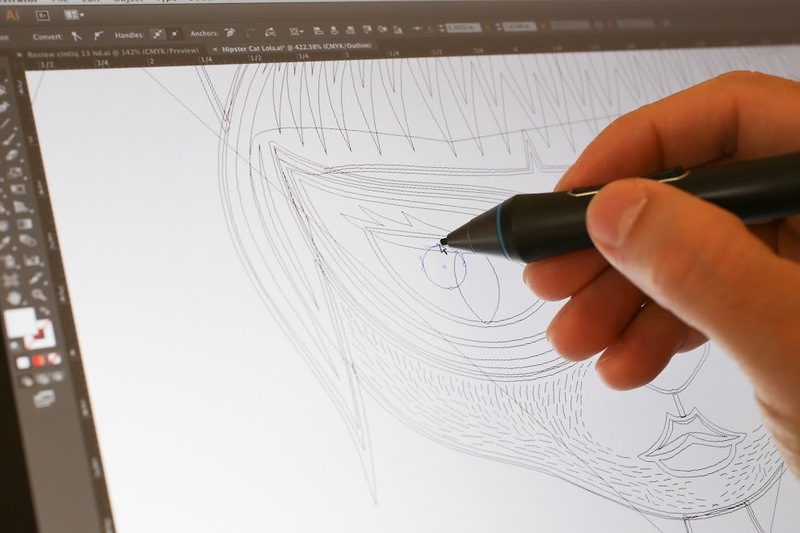 To resolve this complication, Wacom came up with a tool which could replicate hand-drawn art on the computer screen, technically known as Graphics Tablet. The Wacom Intuos Pro & Intuos Draw are popular examples of it as they are considered as best drawing tablets in the market. You’re probably aware of Wacom’s popular Cintiq models by now, which are favoured by many artists, illustrators and designers. 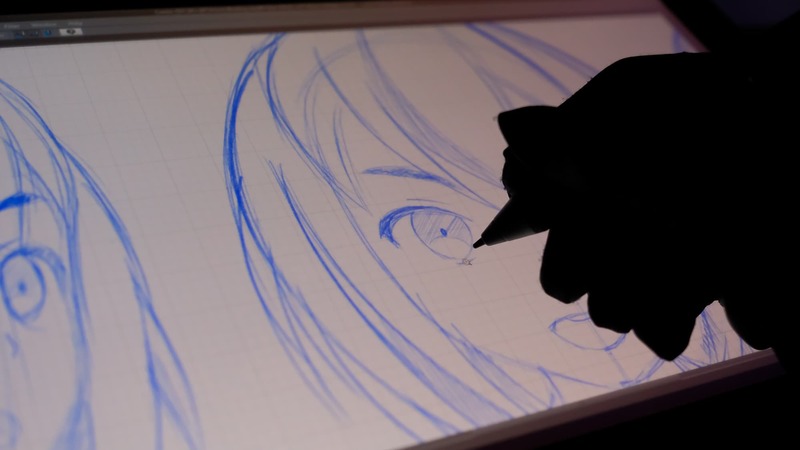 Although this is exciting, and Wacom is usually the preferred tablet manufacturers for artists, it will cost US$ 1,000 and more for the standard version and even more for the Touch version. many of digital artists have already expressed how you would love to use a Wacom Cintiq, but the price is just out of the question. Financial restrictions should never be a reason to stop you from creating art. Luckily there are more affordable tablet options that exist for artists. The decision in choosing Wacom isn’t difficult. Wacom is clearly one of the most popular brands in drawing tablets. But it does make me wonder, are there alternatives? because wacom is so expensive And if there are tablets worthy of even being compared to Wacom, are they even worth a try? 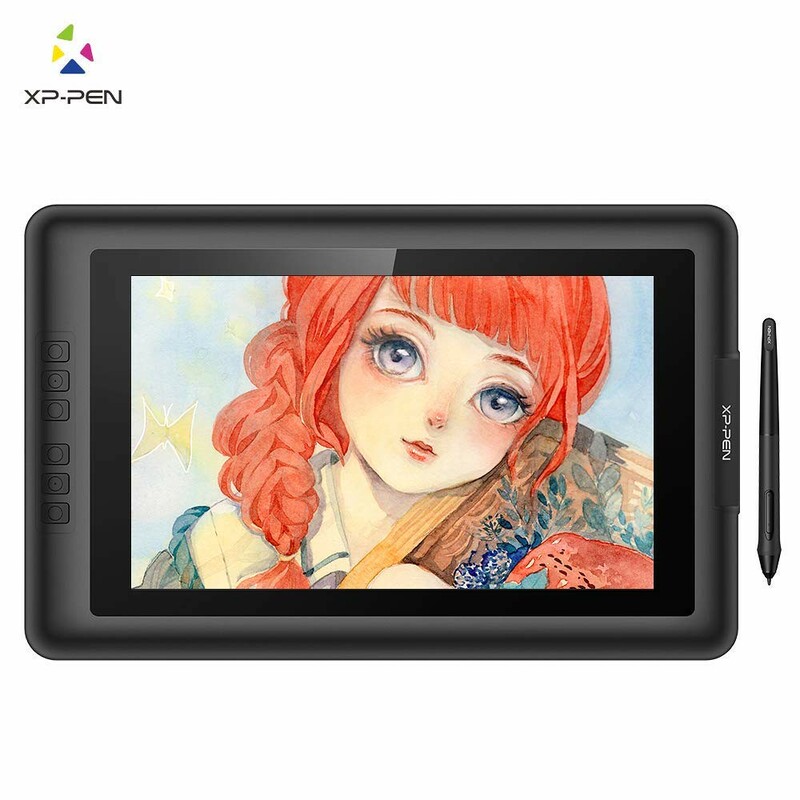 XP-Pen is an artist specific company which only makes artist supplies such as tablets and display monitors. They are the only Wacom alternative that I have come across which offers battery-free pens consistently for all their graphic tablets. Not all of their drawing monitors (Artist 16 Pro / Artist 22 Pro / Artist 22E Pro ) use battery-free pens though. -XP-Pen is fairly established company in year 2005 , so they are quite trustworthy. Is XP-Pen worth looking at for graphic tablets? Well, if you’re a digital artist and planning to buy the best drawing tablet, then pressure sensitivity, size and accuracy are the key specifications to look for and it’s probably not an easy task to figure out what fits in your requirements. 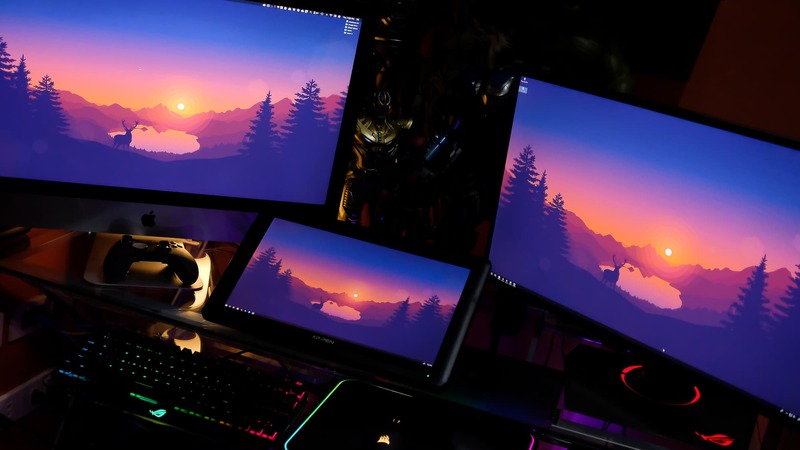 Most of the graphics tablets work as a connected device, means you will need a separate monitor. While some high-end graphics tablets even include a display, means you can draw your art on the same surface where it appears. Generally, these high-end graphics tablets fall into the expensive category and are mostly used by professionals. • Controls / Shortcut Keys – Many graphics tablets come with functional keys which can be programmed according to your needs. Some models include keys around the drawing area while some models include keys on the pen. Functional keys on pen can save your time, allowing you to reach shortcuts and your favorite settings directly without navigating on the tablet. HD (High Definition) is 1280x720p or above, FHD (Full High Definition) is 1920x1080p or above, QHD (Quad High Definition) is 2560x1440p or above, and UHD (Ultra High Definition) is 3840x2160p resolution aka 4K resolution. I simplify display types into two types of TFT LCDs (Thin-Film-Transistor Liquid-Crystal Displays) for drawing monitors: TN and IPS. TN displays have faster response times, but have very bad viewing angles causing screen colours to look different from different angles. However, TN displays are much easier to manufacture, causing them to be much cheaper than IPS displays. TN displays are more meant for gaming where fast screen response times are key and colour reproduction is not as important. IPS displays have slower response times than a TN display, but allows you to view the same colours from basically all angles. An IPS display is the better choice for a drawing monitor because of the importance of proper colour reproduction in art. I see the XP-Pen coupon page , now about ten products participated in this deals event . 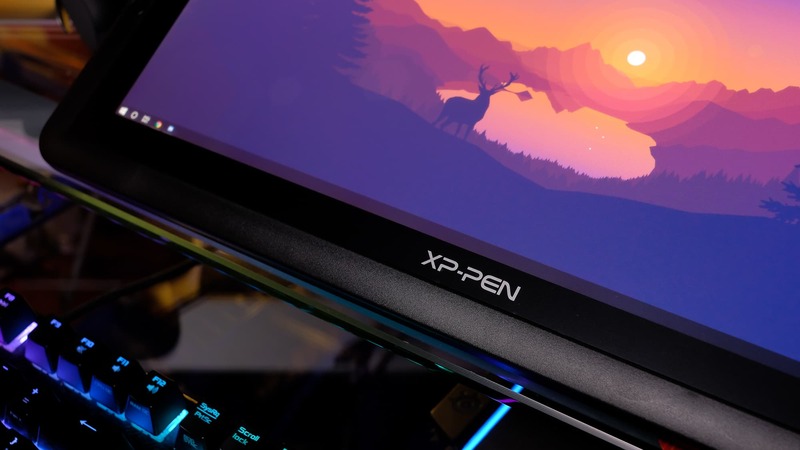 below is the list of them .please notice that all of xp-pen drawing monitors already have a matte screen protection so you don’t need to buy it alone. all of xp-pen drawing tablets that with or without screen have a drawing glove . 15.6″ Full HD dust-free display with 1920×1080 full HD resolution and wide viewing angle, enhanced visual experience is what XP-Pen Artist 16 Pro offers you on its first sight. A well protected high strength toughened glass and rubber covers, anti-scratch and shockproof outer structure would simply make you fall for it and its convenient utilization which allows you to naturally and intuitively sketch paint, design, and edits on the screen is also a treat for the artists. Precise and natural pen pressure control and speed up the boost to your drawing efficiency would definitely interest you as this tablet has an 8192-level pressure sensitive rechargeable pen to do so. A simple set-up with your PC or Mac which is compatible with most of the graphics software such as Adobe Photoshop, Illustrator CC, Corel Painter and Autodesk Sketchbook etc., ergonomically makes it more comfortable and provides you with a distinguished drawing experience. Overall, the XP-Pen Artist 16 Pro is a complete package and best value for money tablet for artists. the difference between Artist 16 Pro and Artist 15.6 is that : The Artist 16 Pro has 92% Adobe RGB, the Artist 15.6 has 75%. you can use artist15.6 without display stand . but artist 16 pro was come with a display Stand . the input connect is also not same , the artist 16 pro / artist 22 pro / artist 22e pro was connect by HDMI , VGA ,USB , the artist 12/ artist 13.3/ artist 15.6 was connect to computer by 3-1 cable .this three are portable display monitors . AMAZING product! I’ll admit I was a bit worried before ordering because of some bad reviews but I honestly couldn’t be happier with it. Arrived on time and was packaged well, everything came a-okay. I had been wanting a Wacom cintiq for a long while but of course can’t afford it, and heard about xp-pen through a YouTube artist I watch. Definitely money well spent! Been drawing non stop on this thing! Shipping was fast and package arrive perfectly. I was planning on the 10s but the screen size look to small for me so I went and got the artist 16 pro and it’s perfect. Installing it wasn’t too bad, it was my first display tablet so I had a few trouble starting to set it up but once I did a few google searches I was set. Overall it’s a very affordable and a nice drawing tablet for beginners like me and would recommend to anyone that wants a display drawing tablet that are on a budget! So I had everything calibrating and spent about 4-5 hours drawing and coloring on paint sai and so far it’s good! Loving it so far! I was messing around with bright/contrast and rubbing it with my glove all over the place lol . the XP-Pen Artist 22E Pro enables you to draw direct onto its screen. It’s generously sized so you can go large with your brush strokes, but the stylus is sensitive enough to cope with your most subtle expressions, too. The stand takes some getting used to, but enables you to switch between a near-flat configuration for drawing and an upright position for when you want to use the Artist 22E Pro as a regular monitor. the difference between Artist 22 Pro and Artist 22 Pro is that Artist22 Pro doesn’t have 16 hotkeys . I took a serious chance on this tablet. I’m a professional sculptor and digital painter, so this is how I make my money and dropping $600 on anything isn’t something I’d do lightly. I also don’t have an overabundance of free time. Also, I’m trying to make a move away from WACOM products because of how overpriced their goods are compared to the recent decline in build quality. The XP-Pen Artist 22 is a fantastic tablet. Hands down. If you’re in the market for a Cintiq, get this instead. It’s far less expensive and from what I can see, really, really well made. I’ve had mine since the beginning of May and it’s drastically sped up my work. * Amazing. I’m not even going to say “amazing for the price” because this thing is pretty damn awesome. * Extremely responsive, very slight parallax and super easy to get used to drawing on. * Colours are extremely true. * Calibration is just fine out of the box but you can mess with it if you want. * HD really is HD. Stuff looks great on here. Being able to work at full resolution is nice too. * Puts off a tiny, tiny amount of heat. Less than my “actual” monitor next to it! * VESA conversion was super easy. Just pop off the stand on the back and throw the VESA mount bracket on and you’re good to go. These are in no particular order. Just as they come to me. I’m also being super specific so people know what they are getting into, but none of this wall of text outweighs how good this tablet is. * Pen charging. I mean. It’s not a big deal, you get two pens and a bajillionty replacement nibs in a nifty holder. A charge has lasted me the better part of a month. I think there’s a passive pen floating around but I’m really not bothered by it. * You will have to futz with this thing a bit to get it to talk to Windows 10.This is, as I understand it, not XPPEN’s fault and a result of Windows’ s***ty tablet PC protocols. What you need to do: **DO NOT PLUG IN THE TABLET BEFORE INSTALLING THE DRIVERS OFF OF THE XPPEN WEBSITE. ** Get the most recent ones. Install them. THEN plug the unit in. If you’re using it as a second monitor, make sure the driver recognizes where you’ve got the tablet set up. * Drivers are a little barebones, but I have the feeling they’ll get better with time. * If you have a light touch like I do with tablets, you will need to turn the pressure sensitivity in the drivers all the way down. Still a little firm for my tastes but I got used to it. Wish I could make it a little more sensitive, but tbh messing with brush settings in Photoshop appears to have helped a bit. * Screen cover is kind of a pain to put on, but what giant sticky plastic sheet wouldn’t be. Put it on, btw. Scratches are no bueno. * No side buttons / hotkeys. Not at all a big deal for me. * You’re absolutely gonna need a VESA mount. Good thing this thing is VESA compatible. Anyway, if you’re using one of these you should just have one anyway. Maybe it’s just my desk setup, but I prefer having the thing on a swingy arm. * Bottom-mounted cables. Sort of annoying. Not really a big deal with a VESA mount. Shipping was great, tablet arrived with absolutely no dead pixels and was securely, neatly packed in its own little box. You get a bunch of free stuff with it too; it includes all of the cables you could possibly need as far as I know, a neato anti-fouling glove, two tablet pens, a dust brushy thing and a screen cover. Some other stuff too. The company was very friendly and lovely to work with. I didn’t need to use their customer service but word is they’re very helpful. 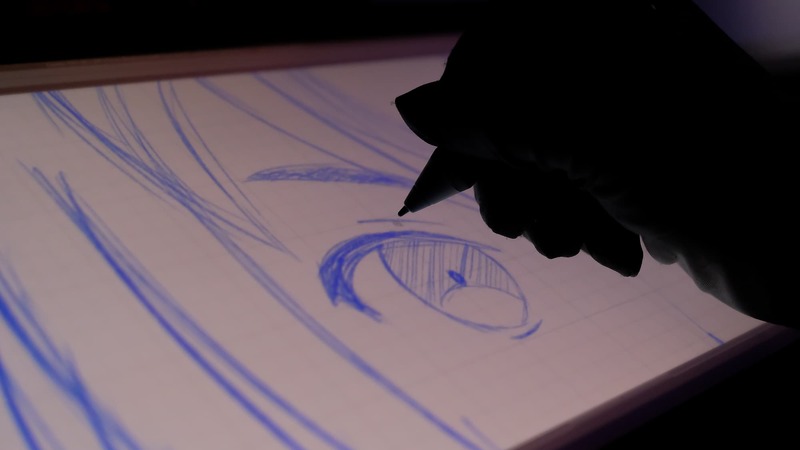 Upgraded Firmware – Provides a more accurate and responsive cursor positioning experience for drawing; It fulfills users the efficiency needed for greater productivity. 21.5” IPS Monitor – With 16.7 million colors and 1920×1080 resolution, the new Artist 22 Pro gives you the most colorful screen display. The aspect ratio of is 16:9, the contrast ratio 1000:1, brightness 250 cd/m2, and 14ms response time. Newly Designed Pen – Comes with the same stylus as Artist 22E Pro that recognizes 8192 pressure levels; It is lightweight and fully covered by very fine rubber. Viewing Angle: Vertical 178° Horizontal 178°, 5080LPI, 266PPS, VGA/DVI/HDMI ports available; OS compatibility: Windows 10, Windows 8, Windows 8.1, Windows 7 and Mac 10.10.0 or above; 1 year warranty. Living in Australia, we pretty much only have 1 visual tablet choice: Wacom. I couldn’t justify the insane price in AUD so went looking for other options. After doing a hell of a lot of research on the previous model of XP-Pen (Artist 22 Pro) and seeing the 22E Pro was about to come out, I decided to jump in and purchase one based on the otherwise great reviews of the Artist22 Pro. I’ll try and keep this short. - Product shipped to Australia in perfect condition 5 days after making payment (Inc 3 days for AUD to clear to USD). - All express buttons work, are responsive and are able to be remapped. - Easy to set up, install & configure. No driver issues . - Great pixel quality, contrast, depth of color & response time. - Great level of pen sensitivity and accuracy. - Heaps of additional chords and accessories. 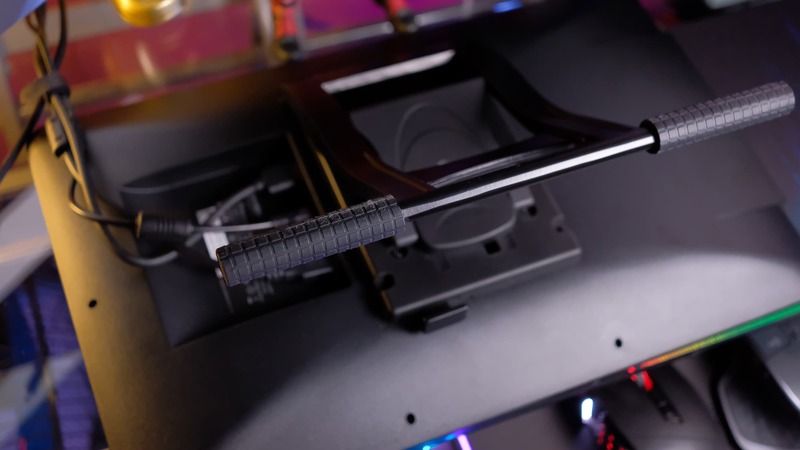 - Chord connections on the side, unlike the previous model meaning there is no bending and stressing on the chords or connections when angle is changed. - Doubles perfectly as a second or third monitor for other general use. - Sturdy build quality, easy to adjust stand, solid and responsive buttons. - No DVI cable included. VGA is so outdated, I don’t know why they include one of those in preference to DVI. - Going from max horizontal to max vertical seating, I’d recommend a pen tracking re-calibration due to the angle change. This is literally a 15 second process though, so once again, a very minor complaint. Overall this is an amazing tablet for the price – The pro’s vastly outweigh the con’s as the con’s are only minor quality of life annoyances. I’m so glad I did my research on the previous model in order to cement risking giving this a go. I do not regret it at all . The XP-Pen Artist 15.6 is the best seller of xp-pen drawing tablets with screen . Featuring a sharp 15.6 inch IPS display, the Artist 15.6 is really very comfortable to work with, the size of texts and palettes didn’t felt too small when our experts at Tablet Under Budget tested out. With 16.7 million colors, the Artist 15.6 gives you probably the most color-rich experience while drawing on its Full HD screen. Along with the new design and display, the firmware has also been upgraded which provides responsive and accurate cursor positioning to make drawing experience sharper. Talking about Pen, the generation ergonomically designed Pen P05 has the ability to sense 8192 levels of pressure sensitivity which will enable you to draw a variety of lines depending on the amount of pressure you apply. Its compatibility with Windows and Mac operating system makes this one of the most widely used devices by artists and graphic designers for their work as it provides Wacom Cintiq level of features at an affordable price of $430. Just unboxed earlier today, it’s so smooth and nice but it did take forever to get the drivers and everything calibrated. I love the fact that it’s only 0.4 inches smaller than the Xp-pen Artist 16 but it’s like $140 bucks less?? Calibation of color and pen to screen is a must out of the box. Express keys feel solid. Matte finish screen protector is applied to screen already. Matte protector Dilutes colors a bit but adds a feel of grip you get when drawing on paper. Small offset between pen and cursor. Light weight but sturdy. 15.6 is huge for me even though i upgraded from a medium intous pro 5. Easy to set up. Works great in Clip Studio, mischeif, sketchbook(some strokes wobble), and medibang. The 8000 lvl of pressure sense is nice but if you want an even pressure on the low end that feels evenly distributed youll never get to use all 8000 unless you press so hard you break the screen i imagine. Im sure drivers in the future will fix this. Love mine. If you’re a student, hobbyist, amateur artist, or just looking to get your first graphics display tablet, I would definitely recommend considering this product. For the price, this tablet works great and its size and quality is quite nice. I’ve had this tablet for roughly a month and so far I haven’t had any issues. I run Windows 10 and mainly use Paint Tool SAI, Clip Studio Paint, and Photoshop CC. Just make sure that you uninstall any tablet drivers on your PC before setup and that you download the latest drivers from XP-Pen’s website. Setting up the tablet is very easy. Just follow the instructions and you should have no issue. Calibration and color configuration is also pretty simple. Not a pro for the tablet, but XP-Pen has a pretty in-depth FAQ on their website for troubleshooting. Look here for getting the tablet to work with SAI. Whether you’re right or left-handed, you can comfortably draw directly onto the screen of this XP-Pen tablet with the Stylus P05 , which has 8192 levels pressure sensitivity. The pen responds to the slightest touch, and you can have complete control over brush width and opacity. 6 Customisable keys, The 1920×1080 HD screen features Adobe RGB colour quality. There’s also lag-free tracking, and you can connect the Artist 13.3 straight to your Mac or PC with the included USB-C cable. It’s compatible with the versions of Windows 7/8/10 (32bit / 64 bit ) and Mac OS 10.10.0 and above , not to mention its lightweight and small design, making it compact to carry with you. Honestly, if I could give 4.5 stars, I would. If you’re looking for an affordable 13″ cintiq off-brand alternative, this is basically it. + Easy installation; comes in a USB instead of CD (I decided to be safe and download the driver on their website though). Fair warning though! Your PC/laptop might reset when trying to install–this is normal. Don’t panic and remember to uninstall any previous tablet drivers beforehand! + The pen stand also acts as a nib remover! - Be careful with the nib remover on the bottom of the pen stand; I tested it out and it created a very noticeable cut on my current nib. This can lead to scratches on the screen. All in all, it’s an incredibly affordable alternative medium display tablet with some minor hiccups that can be overlooked. XP-Pen Artist 12 is one of the most affordable Wacom Cintiq alternatives for those who want to draw directly & naturally on the screen. How? Its IPS LCD panels, applies the new mirror design with smooth and ease of movement, bringing in high definition and high brightness visual experience. 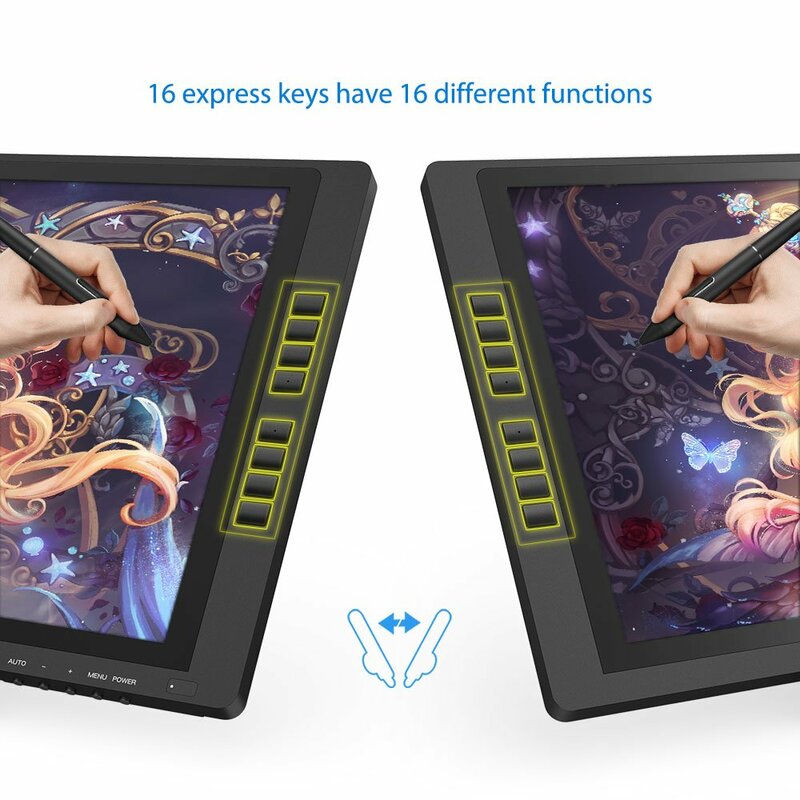 8192 levels Pressure Sensitivity, Control line thickness, color and transparency conveniently provide the value for money experience an artist expects from a drawing tablet. Moreover, the XP-Pen Artist 12 HD is ultra thin and light so that you can carry it anywhere easily. it easily fits in your backpack or briefcase so that you can carry it to School or Work without having to look at an extra case. 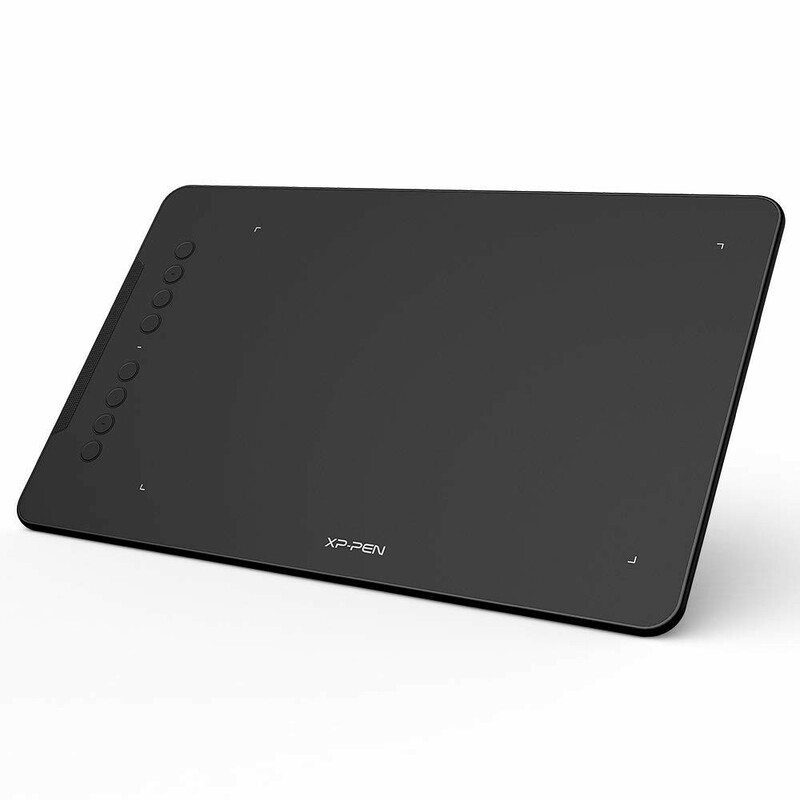 It has Full HD resolution and 6 express keys on-board and 1 touch-bar with which you can work without placing the keyboard near you and especially with this kind of Full HD screen size, pressure sensitivity of the display and viewing angle of the screen which is high enough, are also the best part of this tablet to make it a great option for an artist’s hand. Its compatibility with the most common operating systems makes this a good device for artists. 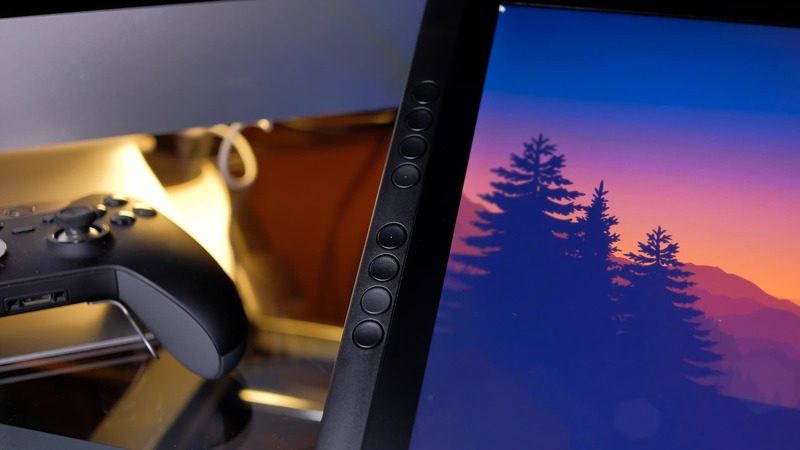 Depending on your needs, you can make it your device of choice for creating artworks or use it temporarily until you can afford Wacom Cintiq. you can also get $15 off for normal version . this is the smallest drawing monitors of xp-pen artist series .the P06 Stylus have digital eraser function . Being that the Artist 12 is only $250, I was a little skeptical before trying it out myself. However this tablet is amazing! I love this tablet! It works so well and is a great price! - Setup was quick and easy, I had no problems. - The Artist 12 is very responsive. There was no lag while drawing. - The express keys are easy to customize and also work very well. - The display is also excellent, it’s very vibrant and crisp. I really enjoy drawing on the Artist 12. I highly recommend it if you are looking for a tablet with a screen. I am definitely not disappointed and it has exceeded my expectations. I couldn’t be more happy with this purchase! This thing is sweet! Slim profile sleek look great design. Works great with my Mac and has preformed perfect with PS, Krita, I have even used it for some 3D modeling! Great size (11.6”) display area. .453” thick. It has 6 shortcut keys with a touch bar that are all programmable. HD display that seems to have better resolution than my MacBook. The pen is very comfortable that doesn’t require charging. 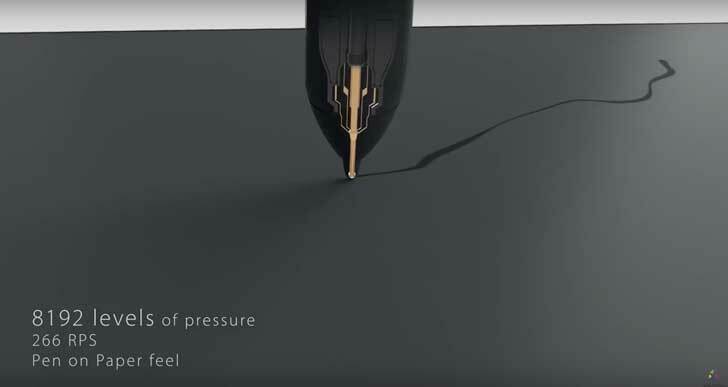 The pen has 8192 levels of pressure that you can adjust to your drawing technique. The tablet comes with all the required cables to get you up and running including a glove and screen wipe. I have had a blast with this device and would 100% recommend it. Thank you xp pen for making an affordable graphics tablet! XP-Pen is a powerful graphics tablet which is not so high on a budget. 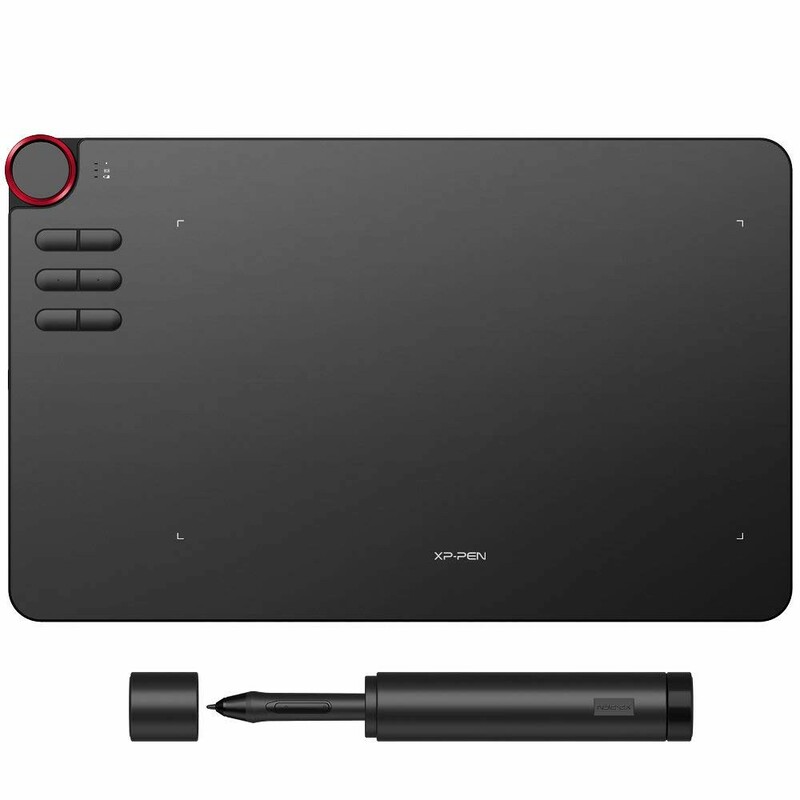 It sports 10×5.62 inch drawing area and a touch ring and 6 customizable shortcut keys for your artwork. The pressure sensitivity of 8192 levels enables you to draw a variety of lines depending on the amount pressure you apply. More the pressure sensitivity will be, better the accuracy you will get. 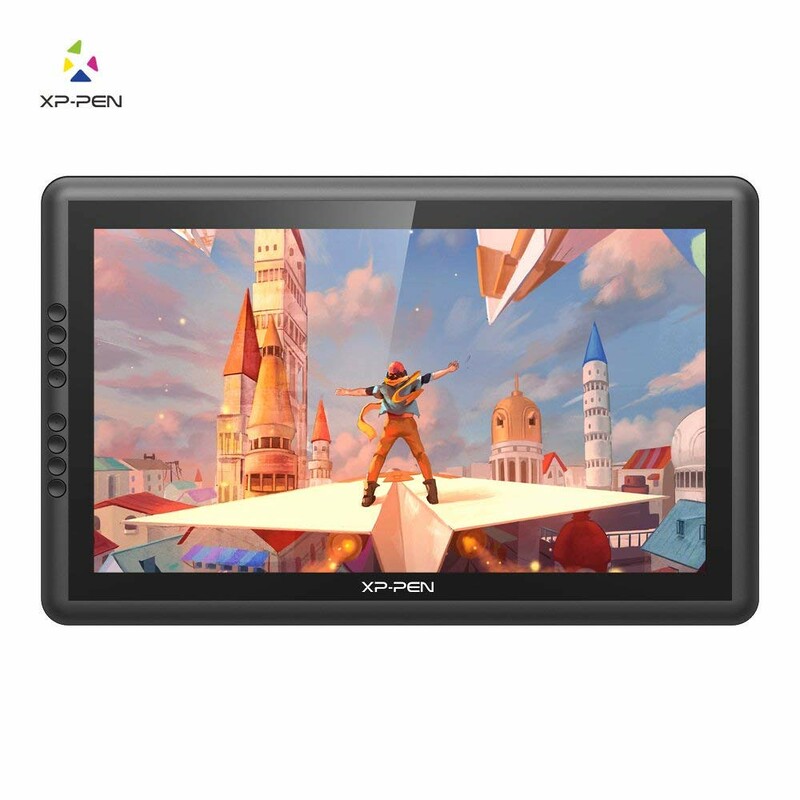 The XP-Pen DECO 03 drawing tablet is compatible with Windows 7 and above in Windows OS and also comes with Mac OS compatibility, making it easy to use and work with. In terms of connectivity, it comes with 2.4GHz wireless network support, which not only makes it seamless in drawing, painting, and sketching but also makes it easy to pair with other devices through a network. As far as the battery backup on this drawing tablet is concerned about, it comes with a 2500mAh battery, which the company claims to provide over 40 hours of continuous usage to draw with. XP-Pen DECO 02 is a pretty pocket-friendly graphics-stationed tablet which is though priced half as less as its rivals but as powerful. The tablet comes with a 10 x 5.63-inch drawing area and sports a 5080 LPI resolution. The tablet has a very impressive report rate and can register about 266 reports per second. This drawing pad comes with a touch ring and 6 user-defined shortcuts, using which the user can set their custom shortcuts as per the convenience and requirement. Similar to the other expensive rivals in the list the XP-Pen DECO 02 comes with 8192 levels of pressure sensitivity pen P05, which gives the feel of drawing on a paper. This tablet supports the wide range of operating systems and supports all Windows OS and Mac OS X 10.10 and above. Ugee has decent collaborations with various companies and therefore, it can be used with Photoshop, Photoshop CC, Illustrator, Lightroom, Corel Painter, Autodesk MAYA, Pixologic ZBrush, and much more. All in all, this is a perfect pick if you’re tight on budget and looking for a feature-packed graphics tablet for drawing and designing. Pros : large drawing area size , the digital pen have eraser function. you can get a holiday version for this tablet . 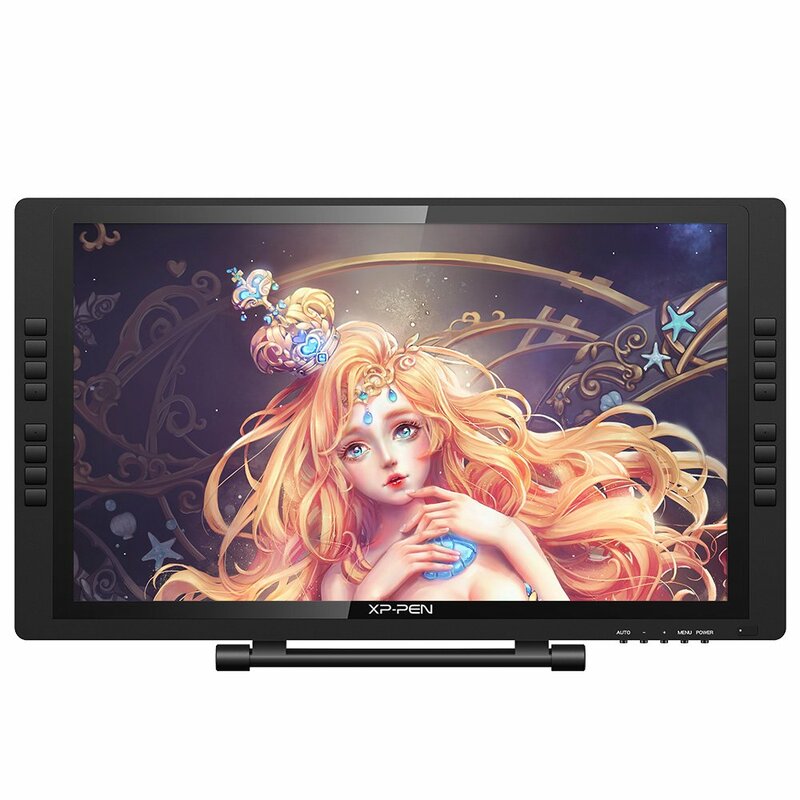 The XP-Pen Star G640S is a great entry-level drawing tablet which is very spacious and makes it very easy for both single and double hand usage. Thanks to ergonomic pen and textured work surface of this XP-Pen Star G640S Signature Pad; you’ll enjoy the freedom and familiar feel of pen on paper. Made of high-quality material and with delicate craftsmanship, it is now accepted by more and more people. This advanced product can help to activate your own habitual shortcuts and modify them. Apart from graphic applications, XP-Pen Signature Star G640S is also widely used in Microsoft word for annotation, which is indeed useful for office workers. The pad is a professional graphic designing tool. Additionally, you can edit photos professionally wherever you want as it is easy and convenient to bring along. Are you interested in this product? Do not hesitate anymore! 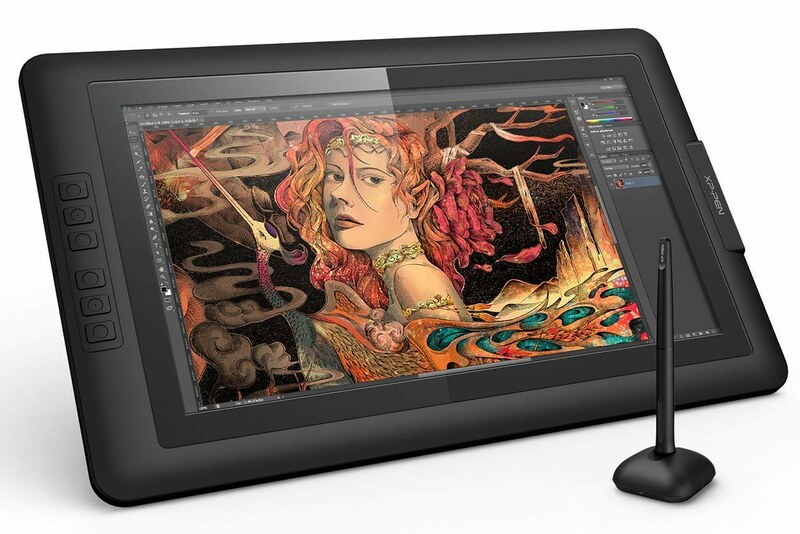 I‘ve been a Wacom user for many many years and they make some of the best pen tablets/displays on the market today. In my entire design/development career, Wacom is my go to brand when it comes to the “design” part of my job. Started using their bamboo tablets when I was just starting out and immediately upgraded to their Intuos line after a year. After another year of working with their pen tablets, I decided to invest on their Cintiq pen display lineup which is one of the best decisions I’ve ever made (and also one of the most expensive ) Right now, I currently own their Cintiq 13 HD and their latest Cintiq Pro 16 (which costed me an arm and a leg . My “always Wacom” mindset towards pen tablets/displays began to change when the amazing people at XP-PEN sent over one of their latest products for me to test out. I’ve been hearing a lot about these 3rd party pen displays since last year (via ads and youtube videos) and honestly, I’m really skeptical if it’ll be on par with the experience I had with Wacom over the years. XP-PEN’s pen display took roughly 3 weeks to arrive and used it for roughly a month in my professional and personal projects. Does it stack up with Wacom? Let’s find out! Please note that I will not be showing the unboxing part of this review nor will I showcase what’s inside the box. This review will focus on the actual Drawing Tablet itself, how it performs in real world situations, and if it’s something that’s viable for professional work. 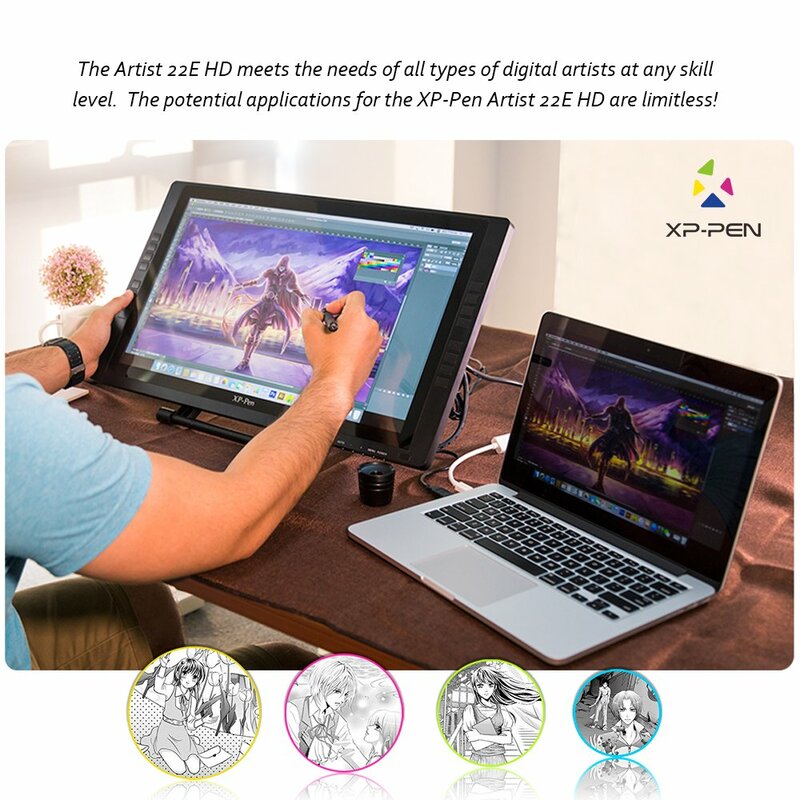 Get XP-PEN Artist 16 PRO 1080P IPS Graphics Drawing Monitor 15.6 inch 8192 Pressure Sensitivity / 8 Shortcuts,2pcs rechargeable pen,8 nibs / Display Resolution: 1920 * 1080 Pixel / Digital Pen Display / Adjustable Stand for $459.99,flash sale,free shipping, You can also purchase it via https://www.amazon.com/Artist16-Drawing-Shortcut-Adjustable-pressure/dp/B07B1RPVLY . The overall build of the device is actually pretty good. It’s made out of high quality materials that doesn’t feel cheap. The overall dimension is also small for a 16” pen display. They made it possible by reducing the bezel thickness around the display. This is a good design choice as it doesn’t eat a lot of space in your desk. Also, upon unboxing it for the very first time, I did notice the screen has some kind of a screen protector installed. Aside from protecting the glass panel, this thin film adds texture to the drawing surface of the pen display which is pretty subjective depending on who’s going to use it. Some users want their pen display to have a smooth surface while others (like me) likes it to have some kind of texture for that pen and paper feel. Shortcut buttons installed on the left side of the display are also “clicky” and not squishy (I’m looking at you Wacom Cintiq 13 HD). It would be better though if they included another set of shortcut buttons on the right side for left handed users. The built in stand is a bit wobbly at times depending on the angle but it’s pretty stable when you’re actually working on it. The Artist Display 16 Pro also comes with a stand which is already pre-installed out of the box. The built in stand is flexible enough to support different angles depending on how you intend to work. It has an easy to use lever that you can pull whenever you want to change the angle of the display. The stand also has rubber feet and so far it does its job preventing the device from sliding on your desk when working. The built in stand is a bit wobbly at times depending on the angle but it’s pretty stable when you’re actually working on it. Try to experiment with the different angles as I find some angles are much more stable compared to others. 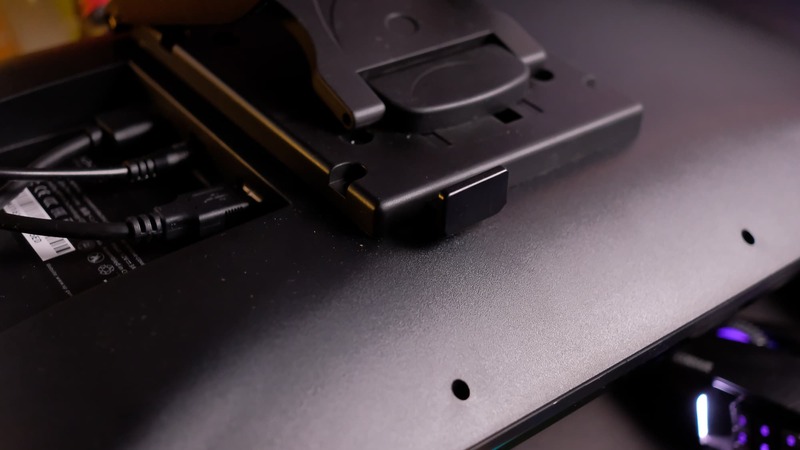 Also, it looks like the display supports the VESA mounting standard since you can unscrew the stand at the back. I haven’t tested it yet though. Let’s now talk about the screen which is the main selling point of this particular model. 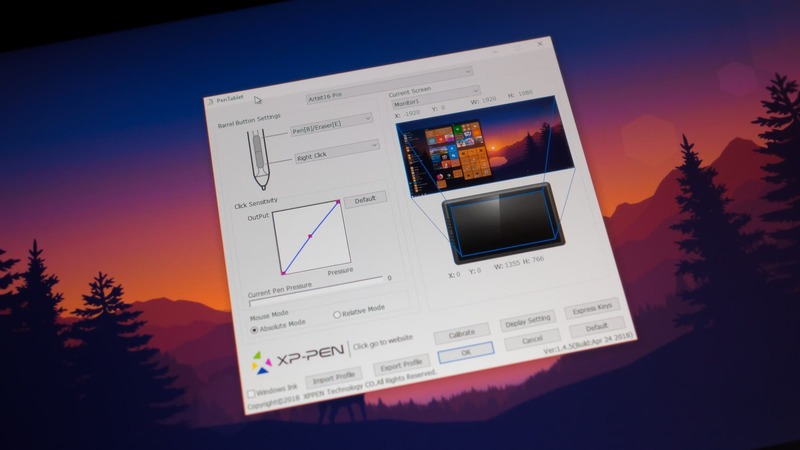 XP-PEN’s Artist Display 16 Pro has a full 1080p display with 92% Adobe RGB. Now, I’m not a color guy and the only way for me to check this out is by comparing the screen of the pen displays I currently own. Based on my tests, the screen of the Artist Display 16 Pro is much much better compared to my Wacom’s Cintiq 13 HD (which if I’m not mistaken, only has 72% Adobe RGB and is much more expensive to boot). Comparing it to my Wacom Cintiq 16 Pro… well… It’s not there yet but I’m not surprised since the Cintiq 16 Pro screen is 4k and costs three times the price of XP-Pen’s Artist 16 Pro. Viewing angles are pretty good too. I tried working with some of my UI design projects using this pen display and didn’t notice any major color shifts when looking at different angles. I also love how the textured film that covers the entire display makes the screen “matte”. 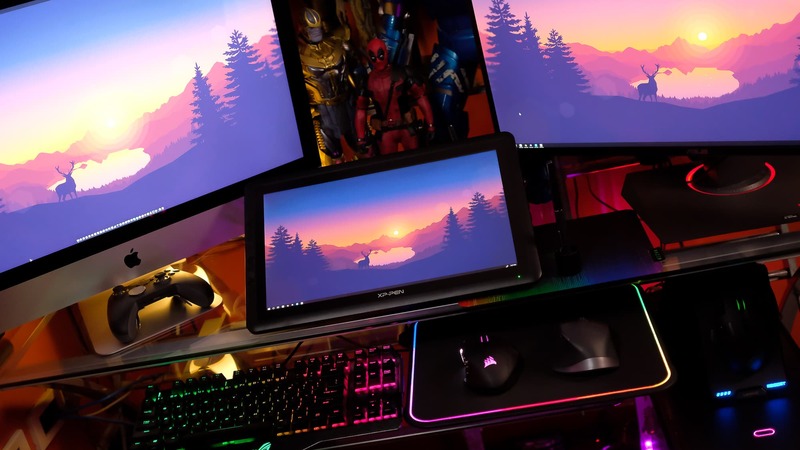 It does diffuse the colors quite a bit, but I’d rather have a matte screen than a reflective one since I use multiple monitors and glossy screens tend to reflect everything (including my face ). …the screen of the Artist Display 16 Pro is much much better compared to my Wacom’s Cintiq 13 HD. One thing I noticed when I turned it on for the first time is the screen looks already calibrated. It means you won’t have to tinker with the display settings and you can already start using the device for work out of the box. In case you’re not happy with the ones you have, the Artist Display 16 Pro has configuration buttons hidden on the right hand side of the display. From there, you can adjust the usual parameters like the brightness, contrast, sharpness, and color temps. My only comment is the configuration UI looks dated and sometimes a bit confusing to to use. Not really good at explaining stuff but a parallax is the distance between the pen tip and your mouse cursor which is basically being separated by a glass panel that covers your pen display. The thicker the glass, the larger the space between your pen tip and cursor. This creates an annoying effect where the strokes you generate are not matching with your pen’s position and is somewhat “offset”. Parallax are sometimes a normal thing when it comes to pen displays and it all comes down to how small that spacing is between your pen tip and your mouse cursor. My Wacom Cintiq 13 HD has a mild parallax while my Wacom Cintiq Pro 16 has virtually zero parallax because the glass is as close as possible to the actual drawing surface – but it’s also much more expensive. XP-PEN’s Artist Display 16 Pro does have parallax and it’s not that bad in my opinion. You will only see it if you try to look for it. XP-PEN’s Artist Display 16 Pro does have parallax and it’s not that bad in my opinion. You will only see it if you try to look for it. It’s more obvious if you check it at certain angles, but if you’re actively working and have consistent strokes, you won’t really notice it. I’m used to my Wacom Cintiq 16 Pro which have virtually zero parallax and though I immediately noticed some parallax when I switched to XP-PEN’s Artist Display 16 Pro, it didn’t really affected my overall drawing experience. For the price your paying for this device, a bit of parallax is something I can live with. XP-PEN’s Artist Display 16 Pro includes 2 pens which is not very common for pen displays. The second pen is marked as a “gift” so I’m not really sure if it’s the same for other people. The pen is also battery powered (yeah you have to charge it). So far, I’ve been using it for like a month now and I haven’t charge the pen yet. The pen is also very comfortable to hold because of the soft rubbery grip. It’s very similar to Wacom’s pen design in terms of overall looks :P I sometimes get confused when picking up the pen on my desk because they look almost the same. Unfortunately, the pen lacks tilt support and it can be a deal breaker for some. It has 8192 levels of pressure sensitivity (same with Cintiq 16 Pro). My Wacom Cintiq 13 HD has 2048. Could you tell the difference? In my opinion, yes you can. It has 8192 levels of pressure sensitivity (same with Cintiq 16 Pro). My Wacom Cintiq 13 HD has 2048. Could you tell the difference? In my opinion, yes you can. The pressure sensivity is evident specially if you’re a light sketcher like me. It’s easy to get thin controlled lines and pen activation requires the least amount of force on the display’s drawing surface. The increased pen sensitivity allows you to create more controlled strokes without having to mess with the pen pressure settings using the the software. I tested the pen further by drawing diagonal lines (using a ruler) and I did notice some slight wobble. The wobble will only appear if you try to draw your diagonal lines slowly and disappears when you try to do it quickly. I think this is one of the drawbacks of battery powered pens compared to the non-powered ones. I draw fast so this isn’t really an issue for me. XP-PEN included a very nice cylindrical carying case for your pen which also contains your extra pen nibs. The left part of the case is where your pen is located. The cap that covers it also functions as a pen stand. On the far right side is where your extra pen nibs are being kept. There are 8 extra pen nibs and the cap that covers it also has a pen nib remover built in. I haven’t changed pen nibs even with my old pen displays, but extra pen nibs are always welcome. Using the pen display on actual work is not really that different compared to my Wacom pen displays. It works wonderful on both Windows and macOS. I was able to churn out and finish the same type of work I do with my Wacom. The textured drawing surface also makes sketching much more enjoyable because it feels like real paper. Be careful though as the film gets easily scratched by sharp objects – and nope, it doesn’t get scratched when using the pen. For the best possible experience, make sure to to calibrate your pen using the driver/software before using the device. The calibration is straightforward and very similar to Wacom where you need to click (via pen) crosshairs that appears on the screen. It works wonderful on both Windows and macOS. There’s one minor issue I experienced when I’m using the device. Sometimes the cursor “jumps” if you try to hover/point it to one of the display’s four corners. This usually happens when I have to click something that is located on the bottom left or bottom right of the screen or if a window is maximized and i have to close it. Doesn’t really happen every time but I just thought I’d mention. XP-PEN’s Artist 16 Pro Pen Display is a great alternative if you’re looking to improve your current drawing work flow. The build is great and the display’s not-so-thick bezels improves the pen display’s overall aesthetics. It has a small footprint for a 16” pen display so you won’t have any problems making it fit in your work desk. The drawing experience is almost identical to the more expensive Wacom though it has a few shortcomings like the pen’s lack of tilt support which might be a deal breaker for some people. Overall, if you’re looking for a great pen display but is on a budget, I highly recommend XP-PEN. I was really skeptical at first with these 3rd party brands since I’ve been using Wacom for many years. Turns out, they deliver the same experience for like a third of Wacom’s price! 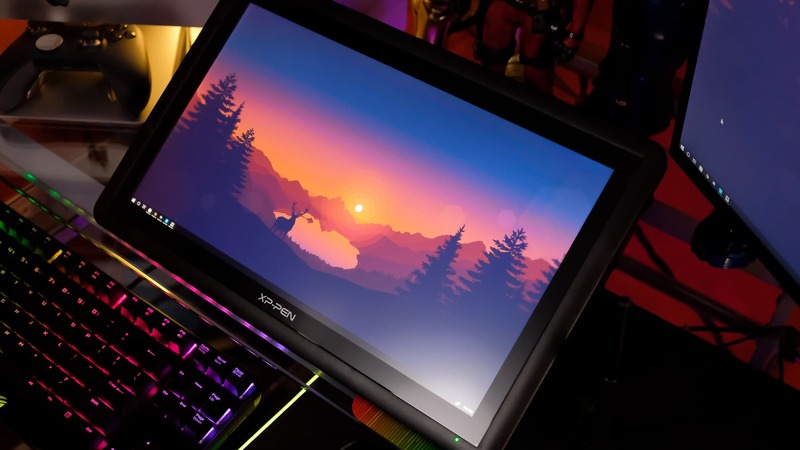 Yes, it does not have the same premium feel and 4k screen like Wacom’s latest offering, but if you’re goal is create amazing artworks without breaking the bank, then the Artist 16 pro Drawing Monitor will not disappoint you. Deadpool approves! For more information about this particular model, you can visit their official website. Replace your mouse. Combine the flat surface of your tablet with your pen tool to completely take over the job of your mouse. Reduce your chance of repetitive strain injury. Use the better ergonomics of your tablets stylus (compared to your mouse) to reduce your risk of injury and find wrist pain relief. Draw with no lag. Todays graphic tablets perfectly simulate the experience of drawing with a pen and paper, with no delay between the movement of your hand and the results on the screen. Provide incredible artistic versatility. The combination of a tablets digital platform and good pressure sensitivity lets you control enhancements such as brush size, opacity, flow, hue and texture. Write on documents. You can use your tablet to draw on Word documents and make handwritten edits  in different color ink! Use touch capabilities. With a tablets touch features, you can move your cursor, and use gestures to rotate your canvas or make it bigger or smaller. Create almost anything. With your tablet, you can make annotations, edit photos, illustrate comic books, draw animations, and render 3D models. 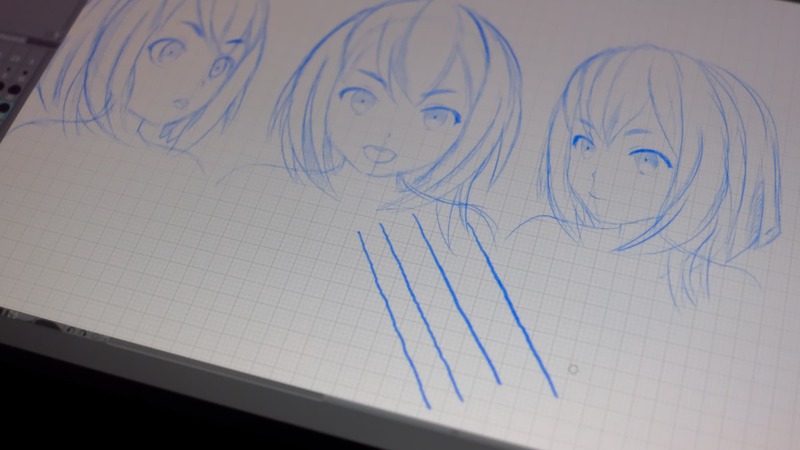 Recently, XP-Pen updated their Deco tablet line with a new version of the Deco 02. With many tweaks, the new version is definitely a step apart from the old. Find out if it’s worth the upgrade! If you’re not editing with a tablet, you should really consider it. 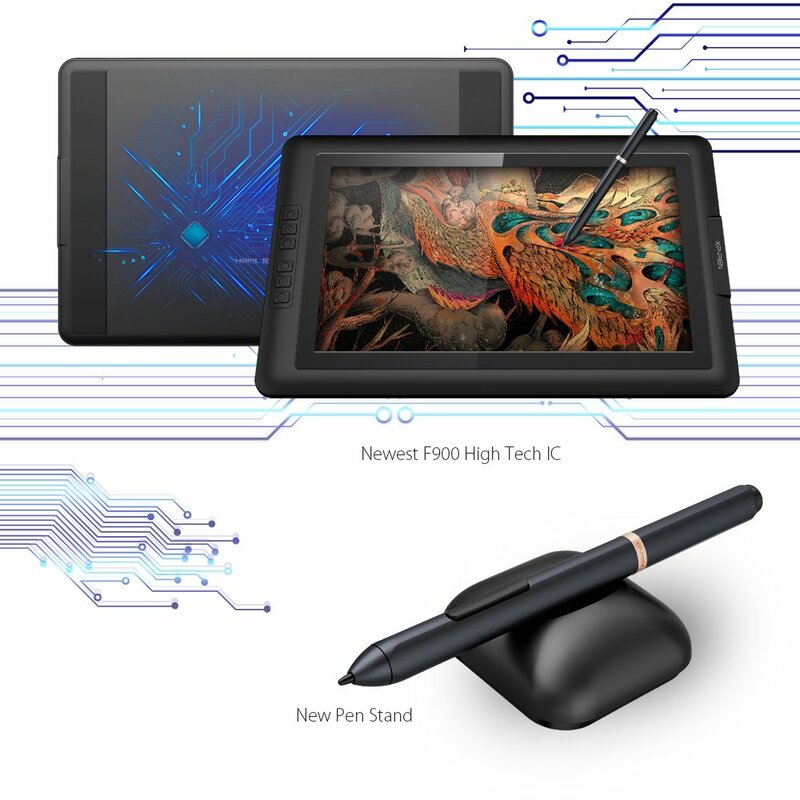 A mouse is great, but the act of drawing is so natural to photo editing that tablets are the perfect extension — the modern canonical tool, if you will.The XP-Pen Deco 02 Pen Tablet is a flexible graphical tablet that can be used to digitize your work, and by flexible, we don’t mean bendable. By itself, the Deco 02 is a standard drawing tablet that connects to your system via USB . 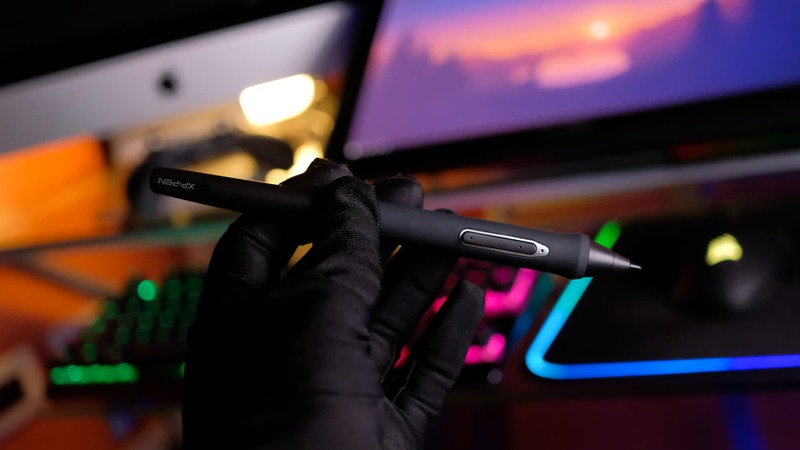 It has eight customizable ExpressKeys and a Touch Ring to assist you with your workflow, and comes with the XP-Pen Advanced P06 passive pen, which has 8192 levels of pressure sensitivity. The large versions XP-Pen Deco 02 come with eight customizable ExpressKeys and feature 8,192 levels of pressure, 5,080 lines/in resolution, 266 points/second reporting, USB connectivity, and a multi-function touch ring. 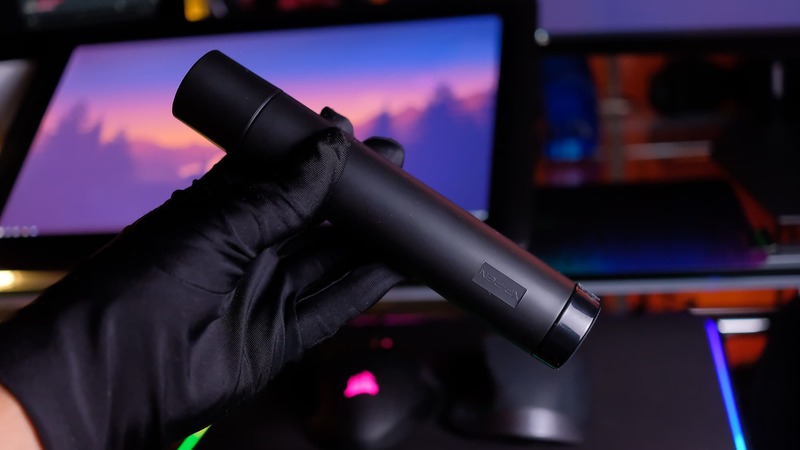 What’s impressive is that at 1.54 pounds and with an overall footprint of 13.2 by 8.5 by 0.3 inches, it’s barely bigger than the older small version, making it highly portable and great for tossing in your laptop bag to edit on the go. Also included are 8 replacement nibs , a texture sheet sample card, color identification rings, a 1.5m USB cable , a Multi-function Pen Holder, a drawing glove,and documents. Online shopping for XP-Pen Deco 02 at United States Of America : https://www.amazon.com/XP-PEN-Graphics-Battery-free-Shortcut-pressure/dp/B07DCS9D9Q . The tablet is really gorgeous to look at. It’s sleek and sophisticated and a testament to the fact that black is always in style. It’s pleasingly light, enough so that I often grab it off my desk and curl up in my chair with it to edit. The ExpressKeys and touch ring button provide excellent tactile feedback with predictable travel, much like a good mechanical keyboard, which helps to keep you in the flow when working. The touch ring is responsive and smooth and forms a pleasingly deep indent: it guides your thumb through the ring very well, making it easier to keep your eyes on the screen. In addition, the USB connection point is solid and secure. Most important, however, is the pen-to-surface interaction, which I’m pleased to report is excellent. The surface is a bit coarse, almost like resume paper, and I found in practice that the slight uptick in friction made my strokes more accurate. The best way to describe it would be moving from a gel pen to a good fountain pen. Keep in mind that you can swap out the texture sheet for one with a different feel should you so desire. The drawback to this is that the nibs do tend to wear down a bit more quickly. The tablet did a perfect job of ignoring my palm, but was impressively responsive and accurate both with pen and multi-finger gestures, of which it can recognize up to 10 fingers (this can be turned off with the side switch), allowing me to also use it like a MacBook trackpad. The rubber feet that run the length of the tablet keep it secure when it’s on a desk. I found the active area of the medium to be perfect for editing photos: enough room to travel as needed, but contained enough to minimize unnecessary movement, increasing efficiency and decreasing fatigue. On a side note, you’ll be pleased to note that the tablet is vertically symmetrical, so left-handed users are not at any sort of disadvantage. The battery free pen stylus is another big plus for me. It is not as ‘clunky’ as a lot of graphics drawing pens I have reviewed are and has a nice thin profile with ergonomic shaping to the barrel. XP-PEN new advanced P06 passive pen was made for a traditional pencil-like feel! Specially designed for the Deco 02, it delivers a fashionable and technical sense. Comfortable grip and high efficiency! A unique hexagonal design, non-slip & tack-free flexible glue grip, partial transparent pen tip, and an eraser at the end. The P06 passive pen is stellar. It’s ever so slightly less tapered and the center of mass is just below halfway up the pen, allowing it to naturally sit against your knuckle comfortably without feeling top-heavy and while gripping the surface well. Over the course of a long editing session, you’ll definitely come to appreciate the improved ergonomics. The buttons on the pen have good tactile feedback without being difficult to press. In particular, the top button sits a bit lower now, making it easier to access. I particularly appreciated that the side buttons are now much more flush with the body of the pen. This means you just have to slide your thumb up to use them as opposed to slightly lifting it. While that may seem minor, you can easily make this motion a couple thousand times in an editing session and keeping your grip consistent as opposed to constantly re-gripping the pen is significant when it comes to fatigue prevention. I use LAMY Calligraphy pens for pen and ink drawing and they have a very similar design this makes the drawing experience much more comfortable. Round pens tend to make your hands hurt and often cramp up after prolonged use.The pen itself can stand vertically or lay flat on the base. XP-Pen.com have got it just about right with awaiting stylish pen on the holder.XP-Pen multi-function pen holder is included to keep your pen and pen nibs safe. 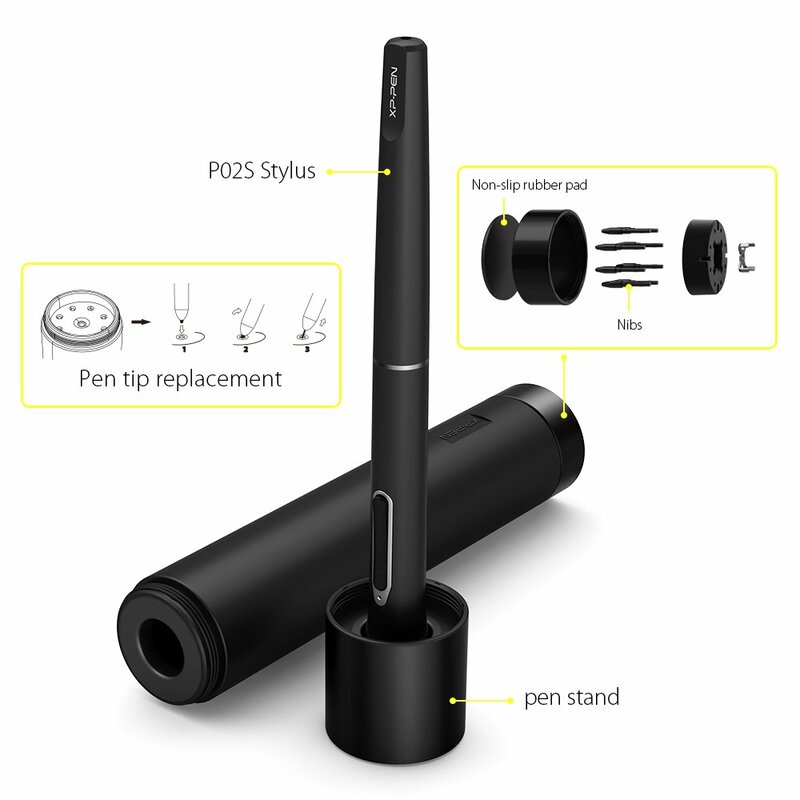 You can use it as a pen stand or a pen holder, taking it wherever you go. The software interface is quite good, offering a great balance of usability and customizability. Pressing the settings key brings up the Express View Display, which offers a quick rundown of all your parameters and the ability to click over to more advanced settings. In the full interface, you can adjust most any setting globally or in application-specific styles. You can change the feel and sensitivity of the pen and eraser, create one-to-five-finger gestures, create multi-key macros to be assigned to ExpressKeys, and essentially customize the Deco 02 exactly as you please to match your workflow. In practice, I never had problems with it properly switching command sets between applications, and there was never any lag in doing so, allowing me to quickly jump back and forth between Photoshop and Lightroom while working. The customizable ExpressKeys™ and Touch Ring on Deco 02 give you quick access to your favorite software shortcuts. The pen tablet recognizes application-specific shortcuts that you define. 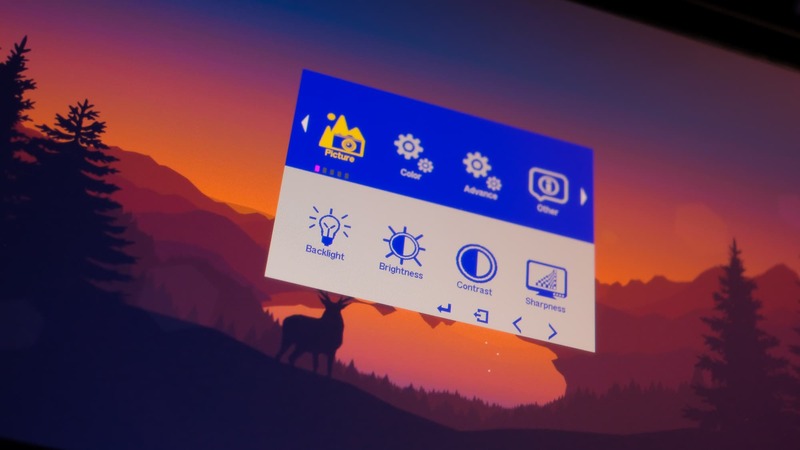 The on-screen Radial menu and Express View heads-up display help you stay focused on your work. Since it’s a mid-range tablet aimed at those who draw digitally, it has a pretty good variety of hotkeys. 8 of them: undo, change brush size, pan, zoom and erase. The middle two that are set in a yin-yang pattern are for zooming. I’m not a fan of buttons for zoom because it makes photoshop either zoom in really fast or out all the way with no control for in between. It does kind of work better when your canvas area is really big though, like in the thousands of pixels. Still not the same feeling of control as a scroll-wheel. I zoom in and out very quickly to check my composition and rough values, so it was a big hassle taking my hands off the tablet to reach for the keyboard hotkeys. This is probably the #1 thing I dislike the most about this tablet. If they had just changed it out for a scroll-wheel or sliding control strip, something with incremental zoom, it would have been perfect. Things that really bug me about any gadget, that requires some form of installation is the lack of information on how to install / program the device. Thankfully the instructions for the Deco 02 were easy to follow and worked first time I downloaded the driver from the XP-Pen.com web site. It placed the Pen Tablet Setting application in my applications folder (program files in Windows) and a shortcut on the desktop (optional). 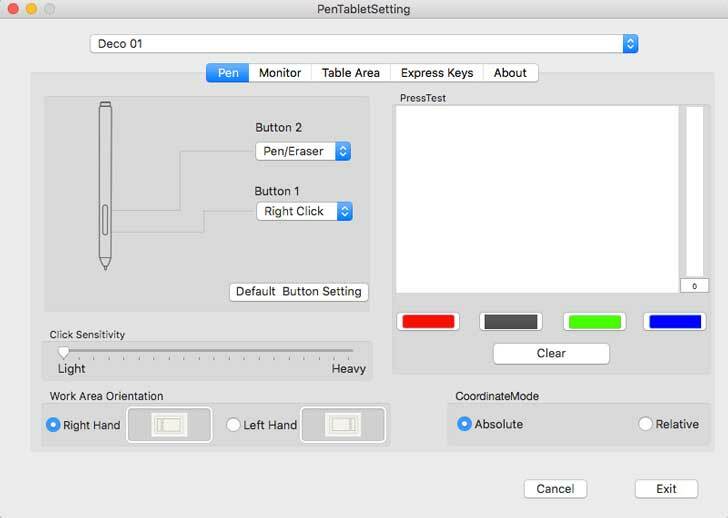 The Pen Tablet Setting App allows you to tailor the shortcut keys to different software that you may use. I find it off putting when any gadgets get so complicated that you end up being overdosed with technical capability. However, xp-pen.com have got it cracked. Pen , Monitor , Table Area,Express Keys,About. The XP-Pen Deco 02 is compatible with Windows 7, Windows 8, Windows 8.1, Windows 10; Mac OS 10.8 and Mac OS 10.10. or higher.The XP-Pen works with most graphics software like Adobe Photoshop, Illustrator, Corel Painter, Autodesk Sketchbook, Manga Studio, Clip Studio, Zbrush. As with other electronics, forget about the driver CD and get it straight off the website Here, under the download tab. large size surface – This popular-sized pen tablet provides ample workspace, yet it still fits conveniently inside most laptop bags. Perfect for image editing, graphic design, and art interests, the Deco 02 medium is our most popular model. The drawing area on this is 10 in x 5.63 in, which is very, very good at the same price point as a Wacom bamboo, which only has a 5.8 in x 3.6 in drawing area. This size active area is good for monitors around 15″-17″. It has 8192 levels of sensitivity and I have not noticed any difference between the sensitivity of this and my XP-Pen. The tablet is wired and hooked up to your computer by a USB-C connector .The cable is 1.5m in length which is a decent size to work with. The default level of sensitivity works very well. It’s no different from any Wacom tablets I’ve used. You can get the tapered strokes at the start, thick strokes, and tapered ends easily. The stylus is able to detect the slightest of contact on the surface. It supports 8192 levels of pressure sensitivity but not tilt.These are some hatching lines drawn very quickly with the stylus.A close up on those hatching lines shows that they are smooth. No jitter at all.The strokes also come out without any lag. At almost $100 it is very affordable. More than affordable actually, but I don’t want to say that too much, or I am afraid XP-Pen might raise their prices. You may have noticed, I compared the Wacom Intuos Pro Medium to my XP-Pen Deco 02 a fair bit. But the reason behind this comparison is very simple. I wanted to emphasize the fact that this product is available at a price lower than the Wacom Intuos Pro while offering a quality and size close to that of a Wacom Intuos Pro Medium! 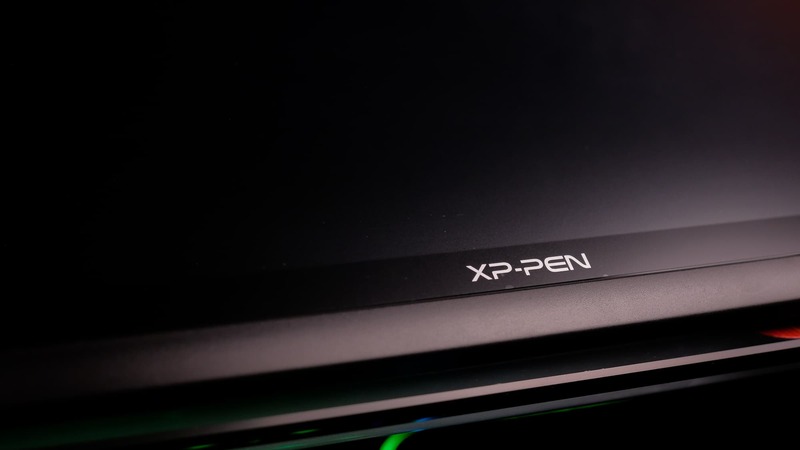 For some people the XP-Pen might actually be even better, depending on the pen and surfacing you like best. Extremely low price. It’s hard to overpraise the affordability of this tablet. If your budget is extra tight and you’re looking for a good entry-level tablet, look no further than XP-Pen Deco 02. Excellent pen. An advanced number of pressure levels, good performance, and eight extra nibs. so you can create with the accuracy and precision of traditional brushes and pens. Control line width and opacity based on how lightly you touch the pen to the tablet surface. Great set of shortcut buttons. Modern tablets are all about providing that extra value when you’re using a specialized software, and XP-Pen Deco 02 takes things even further. 1 Touch Ring + 6 more function keys = a dream-tier beginner’s tablet. Solid build quality. I wasn’t expecting much from such a cheap tablet, but XP-Pen Deco 02 managed to surprise me – in a good way. The tablet looks and feels very solid, and its large active area is a huge advantage over other low-price tablets. Nibs wear out fairly quickly. Overall, the new Digital Graphics Drawing Tablet XP-Pen Deco 02 is an absolute joy to use and saves me tremendous time in my work, which is why I highly suggest anyone add a tablet to their workflow, as it’ll pay for itself in the time you save. Interested in picking up your own? Grab it here. The drawing functionality is more than satisfactory, very good.Not a perfect tablet by far, but probably the best you’re going to get for this price. Great performance that rivals the Wacom Intuos Pro , In many regards, this tablet is comparable to Wacom Intuos Pro, and I would like to pick the Deco 02, XP-Pen Deco 02 is an excellent pick for everyone. it is a good choice if you’re on a budget and looking for a cheap solution. This pen tablet combines XP-Pen’s finest pen capabilities . Gain precision and control, speed your workflow, and take advantage of all the pressure-sensitive capabilities in your favorite creative software, thanks to the innovations built into the XP-Pen. The XP-Pen Deco 03 is XP-Pen’s latest addition to their Deco series of screen-less tablets. It is made to compete with Wacom’s Intuos Pro line while costing only as much as the low-end Intuos tablets. The main reason why I decided to buy the XP-Pen Deco 03 instead of the previous XP-Pen Deco 01 is because the Deco 03 uses a newer more premium looking pen than the Deco 01 which just uses a simple plastic pen. Design and build quality: Really solid! Overall: A very worthwhile buy for 100 USD. -If you are a beginner, I can wholeheartedly recommend this over the XP-Pen Deco 03 . It has a drawing experience on par tablets, and I would certainly recommend spending your 100 USD on this tablet. -If you are an experienced tablet user, the choice will depend on what you need for your art. If you know you need pen tilt/rotation, then the Wacom Intuos Pro is really your only option, but if you don’t care about those features, this tablet is a completely worthy alternative which feels fantastic to use. I would even go so far as to say this is the closest any company has gotten to Wacom so far. Price: 99.99 USD (when this review was written) https://www.amazon.com/Wireless-Graphics-Battery-free-Shortcut-pressure/dp/B07BF9GNFD . There is no driver installation CD. Instead, there is a 4GB USB drive with the drivers and manual on it. However, it is always recommended to get the most current drivers directly from XP-Pen’s site instead of using the included ones because the included ones may be outdated. The tablet has a fairly simple design with just a flat surface and nothing special going on around it. The only special flair is the red dial in the corner of the tablet. The tablet feels quite durable when doing a simple twist test by gripping both ends of the tablet and twisting.The surface of the tablet is fairly rough and gives drawing on the tablet a nice amount of resistance. Since I mainly use XP-Pen Artist 22E screen-less tablets which are much smoother, the rough texture felt a bit coarse to me at first, but it started feeling nice fairly quickly and I found it quite enjoyable to draw on. The tablet surface is certainly wearing and I can clearly see the marks where I have been drawing. I am completely certain that it will end up smoothing out really quickly from normal use. I have to question XP-Pen and why they say the surface is “durable and resistant to scratches” on the XP-Pen Deco 03 product page because the surface shows clear signs of wear from normal use. this is not a cause for concern whatsoever as wearing off the texture does not affect the tablets drawing capabilities whatsoever. The back of the tablet has the usual information sticker and rubber feet. The rubber feet do a good job of keeping the tablet in place while drawing. Also on the back of the tablet is the wireless on/off switch. Make sure you read the manual to know exactly how to set up and use the wireless mode if you intend to use that. The edge of the tablet is not rounded like most other tablets. This means that if your table is higher than your elbow, it is possible that the tablet will feel uncomfortable against your wrist because of the edge. I would have very much preferred a rounded edge to give artists a more comfortable experience while drawing for long periods of time. This is one of my few nitpicks about this tablet. The tablet has 6 expresskeys and the rotating red dial in one corner of the tablet. The 6 expresskeys have fairly good feedback when clicking them, but I would have preferred them to be slightly easier to click. They require a bit more force than I would like to click them, and they’re actually pretty loud when you click them. They’re certainly use-able, but I believe they could be better. The main selling point of this tablet is apparently the red dial. It spins really smoothly and clicks nicely every ~15 degrees of rotation. I have no complaints about its quality, but I was never a fan of wheel-type expresskeys so it only acts as an accessory for me. The other reviews of the Deco 03 I have seen so far praise the red dial for being the main reason they like the tablet, but I really cannot see it as a plus. In my opinion, the quality rubber grip pen is the real advantage here. Personally, I need at least 12 expresskeys to do all my art on my tablet without touching the keyboard, so the 6 expresskeys plus red dial are not enough for me. Also, to use multiple functions on the dial, you need to assign a KL/KR Switch function to one of the 6 expresskeys, reducing the number of expresskeys you can actually use to 5. One other thing about the red dial is that the middle of the dial is a button, but pressing it does nothing and there’s no way to program it in the drivers. I wish they had made the button on the dial programmable, or at least made it the KL/KR Switch function so that I can make use of multiple functions on the dial without committing 1 of the 6 expresskeys to the KL/KR Switch function. Although I tested the expresskeys for a bit, I decided to mainly use my keyboard for my shortcuts. The cable port is on the expresskeys side of the tablet. This tablet has a USB type-C port so it is capable of using the L-shaped cable in the opposite direction which makes the tablet completely use-able in left-handed mode. Many people seem to have a misconception that the buttons are right-hand oriented, but in left-handed mode, you can use your thumb for the red dial and other fingers for the buttons. It is certainly use-able, but it’s a slightly different experience than what right-handed people would deal with. Of course, this is under the assumption that you’re going to use the expresskeys in the first place. This pen is XP-Pen’s newest P05 battery-free pen. It mimics the ergonomic design of the Wacom Pro Pen and has a fairly large rubber grip with a bulge near the end to catch your fingers. Holding the pen is very comfortable and it feels like I am using my old comfortable Wacom Intuos Pro pen again. It has a decent weight to it and is quite pleasing to hold. I’m glad XP-Pen finally decided to create this type of premium pen instead of continuing to use their thinner plastic pens. The top of the pen has nothing. No eraser or charging port. For the people who do not know if a pen eraser is useful or not, here is a fun fact. I did a little poll on the DeviantArt forums regarding the Wacom pen eraser. Only 3 out of 24 people who own a Wacom with a pen eraser said that they actually use it. The most common reason was that using shortcut buttons to switch to eraser is much faster than physically flipping the pen. The pen nib does wear down on the XP-Pen Deco 03. However, the difference between the Intuos and the Deco 03 is that having a flat nib does not change the drawing experience at all on the Deco 03, so you don’t even need to change the flat nib in the first place. On the Wacom Intuos 2018, it feels worse drawing with a flat nib than with a new nib because of the rubbery new texture they use, but with the XP-Pen Deco 03 having a flat nib does not change how much the pen grips the tablet at all because the surface is purely plastic. The only thing you may notice is that the pen nib rolls over the flat side sometimes, but the same thing happens with Wacom’s tablets so it’s not really something you can complain about. Also, the XP-Pen Deco 03 comes with 8 replacement nibs, and the Wacom Intuos only comes with 3 replacement nibs. That means you don’t have to worry about the nib wear as much on the XP-Pen Deco 03. Now let’s talk about the pen case. It’s a pleasant surprise that this tablet comes with a pen case since it holds all your essentials when taking your tablet out with you. One side of the pen case holds the pen. The lid is also quite heavy and is designed to become the pen stand which is a really useful design. The other side of the pen case holds the pen nibs and wireless USB dongle. The pen nib remover hole is also built into the middle of the circle of nibs. It’s nice that you have everything you need for your pen in the case itself, and you’re way less likely to lose the small wireless USB receiver because there’s a spot for it in your pen case. The one small problem I have with this design is that it is actually quite hard to pull out the pen nibs with your fingers. The best way to do it is by wedging your nail between the rubber and the pen nib, but I think they could have thought of a slightly better design to make it easier. Overall, the pen case is a really nice bonus to go alongside an already really satisfactory Computer Drawing Pad for just 100 USD. The XP-Pen Deco 03 uses the newest XP-Pen tablet drivers and they are extremely easy to install. You don’t even need to have your tablet plugged in to install them! Just go download the latest version directly from XP-Pen’s site and remove all other tablet drivers you have on your computer before installing it. Once you’ve installed the driver, it should create a desktop shortcut for you to easily access the tablet settings. When your tablet is plugged in, the XP-Pen driver icon should appear in the system tray in the bottom right. You can also access the tablet settings by clicking on that. Correction: The desktop icon only starts the XP-Pen driver software (if it doesn’t run automatically on startup) and clicking it doesn’t actually open the settings screen. To open the settings screen, you will need to click the XP-Pen icon in the system tray (the bottom right portion of your screen). If you don’t see the XP-Pen icon in the system tray, it could be automatically hidden by Windows. If so, click on the small white arrow to show all the system tray icons. The new XP-Pen driver is a simple one page driver with all the important settings in just one window. Here you can set the pen buttons and pen pressure, and choose which monitor the tablet maps to. For the monitor mapping, you will want to choose your main display and select the Display Ratio button to make the mapping 1:1 with both horizontal and vertical motions. You may need to check the Windows Ink checkbox at the bottom left for certain programs such as Photoshop which make use of it, but most programs will work better with Windows Ink turned off. If you are having problems with a program, try toggling the Windows Ink option. One thing to note is that you can connect multiple XP-Pen tablets to the same computer and they will work! You will notice that at the top of the drivers, it has a drop-down menu that says “Deco 03”. If you connect other XP-Pen tablets that use the same drivers, they will all be modifiable and useable through that drop-down menu. I can connect my XP-Pen G640, XP-Pen Star 05, and XP-Pen AC19 Shortcut Remote at the same time as the XP-Pen Deco 03 and they all work and are completely programmable. Of course, the only catch here is that only the XP-Pen devices which use the new drivers can do this. I believe the current compatible products are the Star 05, Star 06, Star G430, Star G430S, Star G540, Star G640, Deco 01, Deco 03, Artist13.3, Artist15.6, Artist16 Pro, and AC 19 Shortcut Remote. In the Barrel Button Settings section, you can change the functions assigned to the pen buttons. One concern I have regarding the default pen pressure is the fact that beginners will not know to adjust the graph if they haven’t seen or read a review like mine which talks about it. If they could implement the more common “Light to Heavy” control bar alongside the graph, it could be easier on new users who may not understand how to make use of a pen pressure graph. One cool thing to note is that the only other tablet drivers with this custom pen pressure graph is Wacom’s Intuos Pro and Cintiq drivers. Wacom’s low-end Intuos tablets do not offer you the pen pressure graph, and none of the other Wacom alternatives offer it either! Left-handed people will want to click the Left Hand Mode option and physically turn the tablet 180 degrees. 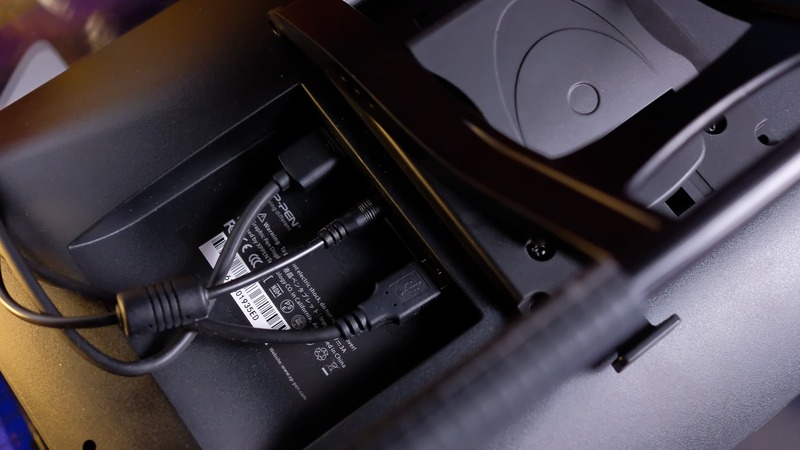 As I mentioned before, the port is a USB type-C port so you will be able to reverse the cable direction 180 degrees as well to work in left-handed mode. If you click the Express Keys button in the bottom right, a new window will open up with the options for changing the functions assigned to the shortcut keys. You can click the Dial tab to change the functions assigned to the red dial as well. All the buttons can be assigned mouse clicks, keyboard functions, or the extra functions, just like the pen buttons. The bar along the top of this window allows you to make program specific profiles which will only be active when the program you assigned is your current active window. It is a useful feature for people who want different functions for different programs. One unfortunate thing about this driver is that you cannot export your settings. This means that if you ever need to uninstall and reinstall the drivers, all your settings will be reset to default and you will have to reconfigure all of them. I personally recommend copying down your shortcuts and settings onto a separate notepad file so that you can always reconfigure everything properly. This tablet gave me a fantastic drawing experience that I really haven’t felt in quite a while. If we are just talking about the drawing experience itself, then I honestly think this tablet felt the best out of every screen-less tablet I have tested so far. Just like with the XP-Pen G640 which I reviewed previously, I was a bit taken aback by how hard I had to press the pen to get darker lines at first, but I simply adjusted the pen pressure curve and the stroke control felt extremely good after that. When doing gradual increases and decreases in pressure, the lines come out perfectly as expected and there are no skips or jumps in the pressure at all. I really like these new XP-Pen drivers because the pen pressure behaves exactly as you would expect it to. The XP-Pen pen pressure is more linear than the Wacom and Huion tablets I have reviewed, and the fact that you can adjust the pen pressure curve directly is a massive plus. If you look at the slow diagonal lines I did with a ruler on my testing page, you can certainly see some wobble, but it is small enough that you will not notice it, especially if you use the line stabilizers which are built into most art programs. The roughness of the tablet may be slightly worrying, but it is nothing to worry about. It’s not as rough as Wacom, and since you have 8 replacement nibs it’s not a big problem. It feels no different drawing with a new nib and a flat nib, so you can just keep using the nib until it’s worn out so much that you can barely pull it out (but I recommend changing the nib before it gets so worn out that you can’t pull it out anymore). You will eventually rub the texture of the tablet smooth like with Wacom’s tablets, but just like with Wacom, it’s nothing to worry about as you will still be able to draw on it. Personally, I had a bit of discomfort with the non-rounded edge of the tablet because my table and tablet are higher than my elbow, but if I sit with my back straight, my elbow is high enough that the edge doesn’t really dig into my wrist. Of course, I wish XP-Pen had made the edge rounded instead but it shouldn’t particularly be a problem for most people. One more thing to note is that, although the reading height is written as 10mm in the product specifications, the actual reading height is only ~5mm. However, it’s not a problem at all and doesn’t affect your drawing at all, but if you have previous tablet experience, you may notice that you can’t hover as high before the pen stops being sensed by the tablet. Regarding the wireless mode of the tablet, it works, but it’s not perfect. If you look at the photo above, you can see that there are times when the cursor does not keep up with my motion and causes abrupt corners in what should be a smooth curve. As you can see, the jagged lines do not happen at all when using the cable connection. This is the same on both my Windows 8.1 and Windows 10 computers. It is important to note that the above test is done with really fast motions. The jagged curves happen less frequently at my normal drawing speed, but it does happen nonetheless. Be warned that the wireless may not be “perfect” on this tablet, but it is certainly tolerable. Another important thing to note is that I have the exact same problems with wireless on my XP-Pen Star 05. This most likely means that the quality of XP-Pen’s wireless technology is not ideal and you should look to Wacom and Huion instead if “perfect” wireless is an important feature for you. Correction: The wireless started cutting out completely when I moved my tablet to around 60-70cm away from the receiver and plugged in a USB drive in the USB port beside the receiver. My only conclusion from this is that the XP-Pen receiver is extremely susceptible to interference and is not capable of more than 50cm wireless before becoming extremely unstable. I recommend that you pretend that this tablet does not come with wireless. I really recommend this Digital Drawing Tablet to any beginner who is considering a 100 USD XP-Pen Star 06 . I think your 100 USD are better spent on the XP-Pen Deco 03 instead. If you’re wondering about drawing software, give the free programs FireAlpaca, Medibang Paint, and Krita a go. They are fantastic free programs which are more than enough for beginners. There is no need to get paid programs until you get the hang of digital art and know you need the special niche features they offer. Even for an experienced user, I can recommend this wholeheartedly if you want an experience similar to that of the Wacom Intuos Pro. However, if you know that you need pen tilt/rotation for your art, then the Wacom Intuos Pro is your only option even if it’s more costly. With your experience, you should know whether pen tilt/rotation is worth the extra money for you or not and you should make your decision based on that, but this is certainly a tablet worth your consideration. There is something that I have noticed since I have all the XP-Pen battery-free pens (P01, P03S, P05), and that is the fact that all of XP-Pen’s battery-free pens seem to use the same frequencies! This means that you can use any of XP-Pen’s P01, P03S, or P05 battery-free pens on any XP-Pen tablet which uses one of those three pens. This conclusion comes from testing all the pens on my XP-Pen G640 (uses P01 pen), XP-Pen Star05 (uses P03S pen), and XP-Pen Deco 03 (uses P05 pen). They’re all able to sense and draw with any of those three pens! 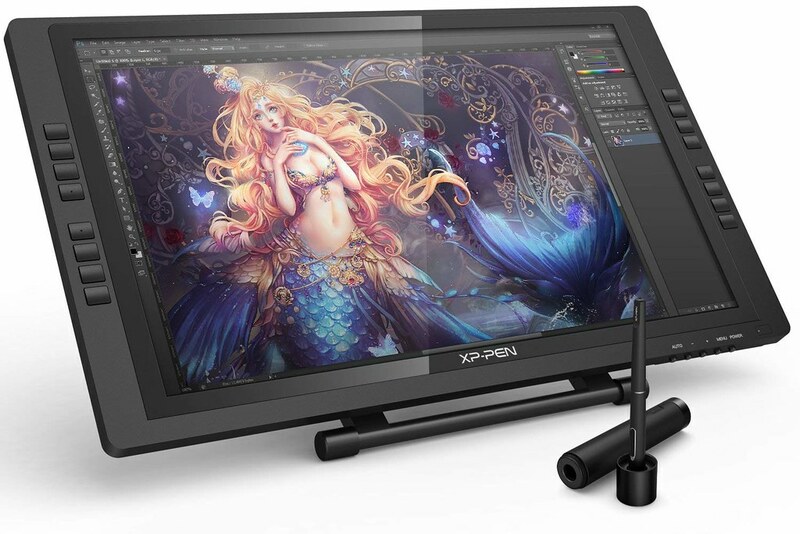 This is quite exciting because it means that you should theoretically be able to buy the most comfortable P05 pen for any other XP-Pen screen-less tablet (I cannot confirm that this same cross compatibility applies for the Artist13.3 and Artist15.6 drawing monitors). For instance, you could upgrade your Deco 01 (60 USD) with a P05 pen (30 USD), and the total cost will be 90 USD which is actually less than buying the Deco 03 for 100 USD! Of course, you should not just take my word for it. Make sure you ask XP-Pen directly about the compatibility of the pen with the tablet you’re interested in matching it with.